I am inspired to make books on many different subjects but nature and the countryside are my first loves. My work is constantly changing and evolving and I don’t ever have a shortage of subjects to create a book about – my head is buzzing all the time with ideas. I love experimenting, using old and unusual materials. I always start with a sketchbook that I have customised to suit the subject. 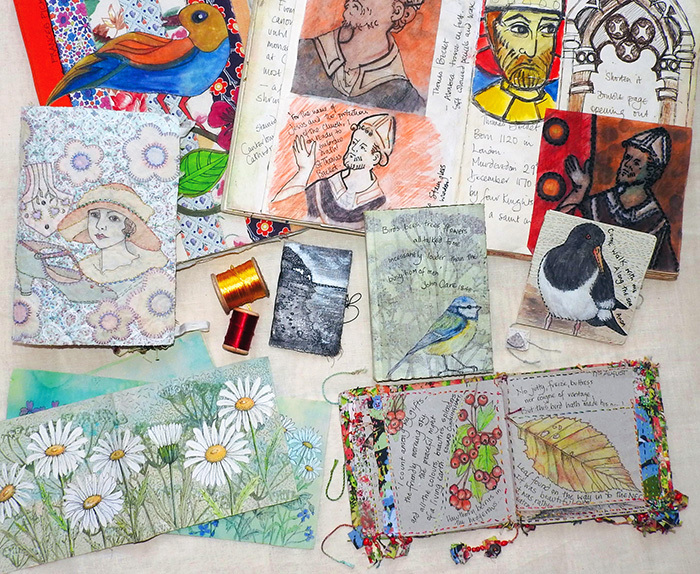 I find it a great way of keeping my ideas together – so it is not just full of drawings, but paper and fabric samples, notes and ideas for starting a book or a series of books.